Hi!!! It's Tuesday and this means i will be blogging about my amazing finds!!! Yay!!! I visited the Saizen store in Robinson's Galleria and saw the very organizer i am always in the hunt of. Are you just like me who find it hard to organize your undies and undergarment?? Well i am! I hate when they are all scattered. So ever since 2014 came i am finding an organizer for me. And i finally found it!!! 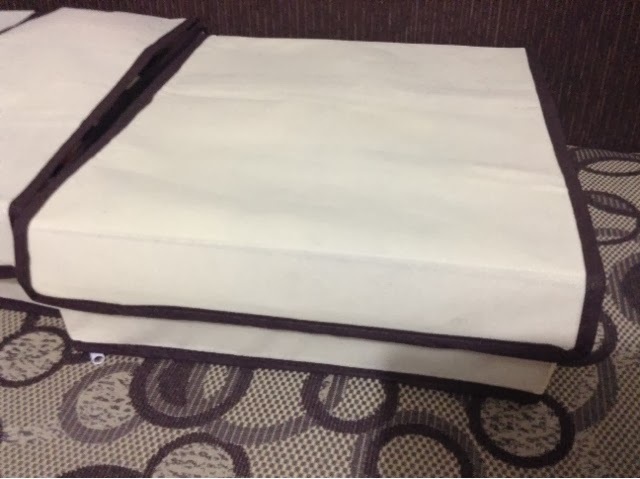 You can easily find these organizers in the home section at Saizen. 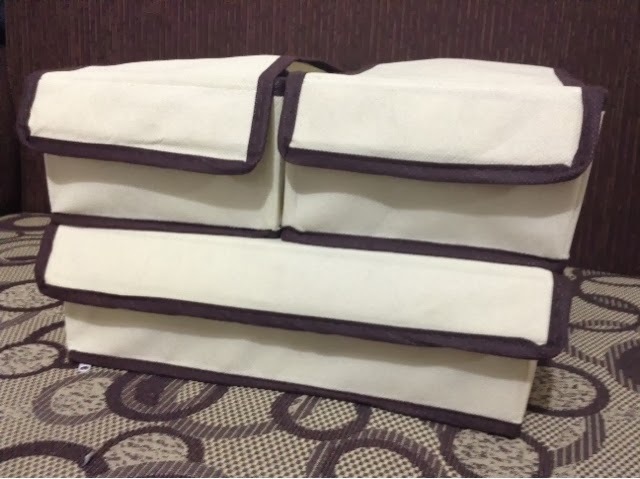 They are divided different types like bra organizer, underwear organizer, sock organizer etc. 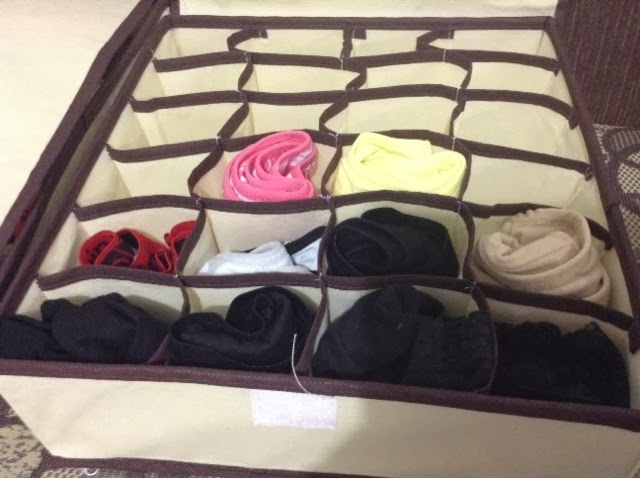 i bought two bra organizer and the sock organizer because i feel like it is the exact thing i am wanting. The bra organizer is where i place my sandos and tube tops. I love this one because i can easily see the color. I also like the fact that i can store six items in one. This is 88pesos each. 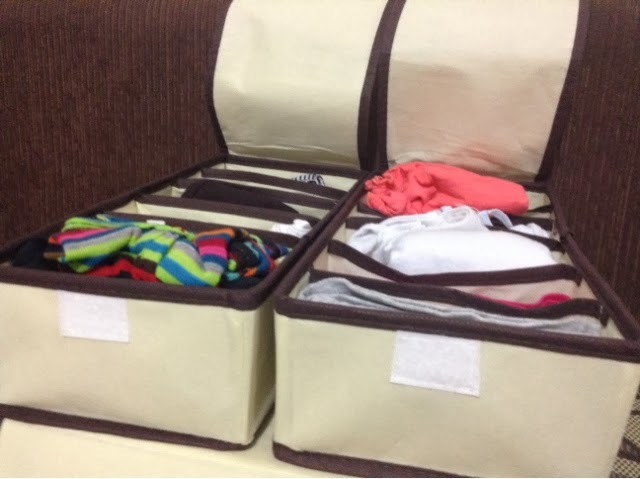 Below is the sock organizer and what i place in this one are my undies. You will be amazed by how it gorgeously store my undies!!! Sorry if its too TMI. Inside it has so many sections!!! 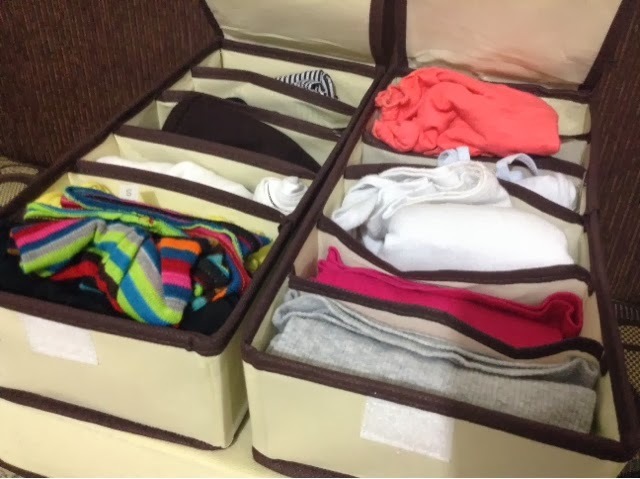 You can store 24 undies and they will look amazing and not messy at all. I love that i can color coordinate too. This one is for 88pesos. If you want one of this then go to Saizen store. They have a wide variety of organizers perfect for what you need. I am going to buy more by the end of the month so i can organize more of my clothings. Yay!!! Thank you for reading. Please be a follower by submitting your email address. Love you!! !